After all these years, this band should be a household name for synth afficianados. 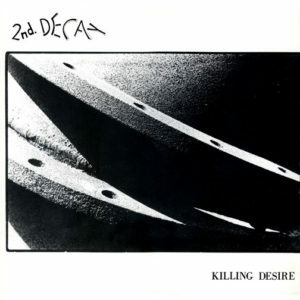 Dark Entries has been gracious enough to re-release the band’s debut record, La Décadence Électronique, but the Second Decay story began in 1989 with the Killing Desire 12”, which set the tone for their detached, yet incredibly catchy sound. Click here to purchase a copy of the band’s debut LP, released for the first time on vinyl! I have a new post waiting in the wings, but before I unveil it, allow me to draw attention to this great donation from Josh of Dark Entries Records. Astute synth fans should already be familiar with the efforts of Dark Entries, who not only has reissued the killer Eleven Pond and Second Decay LPs, but is also focusing on several new minimal synth artists, including the likes of Death Domain and an upcoming release from NY’s own Further Reductions. As if this wasn’t enough, Dark Entries is one of the few US distributors of the Anna Logue Records catalog, and carries several of their more prestigious releases. So what are you waiting for? Click on over to their site, place some orders, and embrace both the new and old. Speaking of upcoming Dark Entries releases, Josh has been kind enough to rip upload the 1982 Synthetic Romance compilation, which among others, contains a rare Those Attractive Magnets track. You can snag the band’s lone release here on Crispy Nuggets for now, and whet your appetite for Dark Entries’ upcoming Those Attractive Magnets release, which collects these tracks and more. As for the rest of the tracks, there should be a few familiar faces and quite a few new treats in store, so be sure to check this one out. 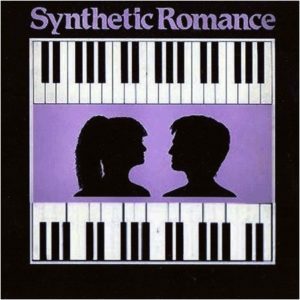 Synthetic Romance- for people wanting a collection of modern and futuristic music. The groups are varied, from all parts of the country and all walks of life, with one thing in common – the synthesizer – perhaps the most sophisticated instrument of our century. This album is intended to promote the best new groups performing their own material. It also demonstrates the imagination and foresight of these little known musicians.